This chapter is dedicated to the recently deceased Professor Valeriy Kharkyanen, my dear friend and long-standing coauthor. In this mini-survey, I am describing the basis and development of the concept of the dynamic molecular self-organization we coined more than 20 years ago when searching for the most adequate approach to analysis of the functioning of biomolecules, proteins–enzymes in particular. In a broader sense, the concept concerns any macromolecular system or nanomachine with structurally flexible active centres. 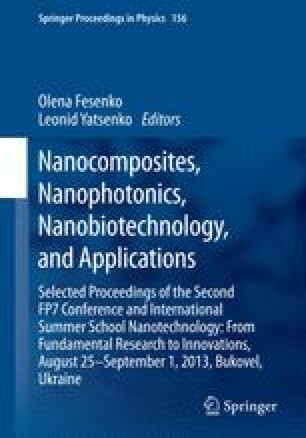 Unfortunately, the paper  was the last written in coauthorship with recently deceased Professor Valeriy Nikolayevich Kharkyanen, a prominent Ukrainian scientist in theoretical physics and physics of biological systems, whose exciting and productive collaboration I was so privileged to enjoy for so many years. This chapter is dedicated to him. I also thank my other coauthors of many works in the field, especially A.O. Goushcha and Yu.M. Barabash for performing many high-quality experiments and N.M. Berezetskaya for excellent programming.